Update checker is now compatible with the SourceForge web server by sending a user agent. Thank you Steve! Steve contacted me requesting a converter from his 2200 Digsby logs with AIM, Google Talk, MSN, and Yahoo!, and I delivered. 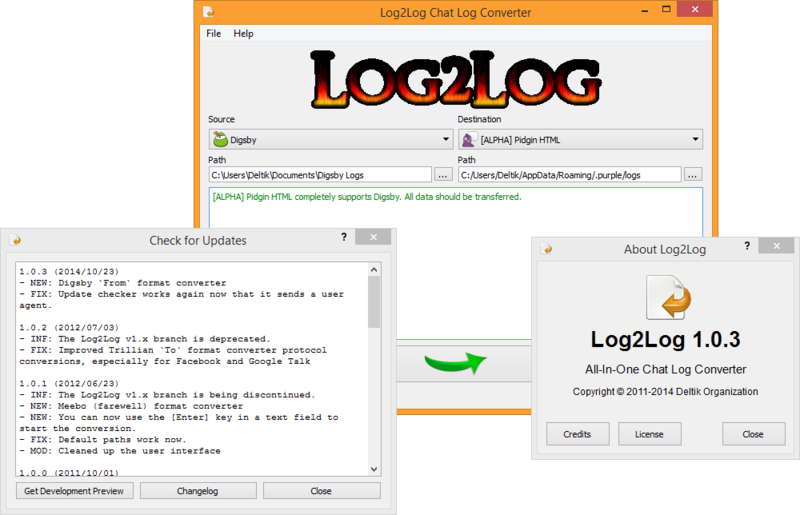 Though a new version of Log2Log v1.x has been released, it is running on limited support. New format converters are being created only on demand.